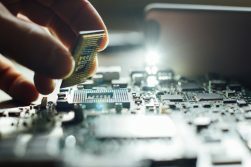 Designing and developing custom-built electronic connectors to suit the specific requirements of businesses worldwide, and providing full technical and personal support from start to finish. As the sole UK agent for CviLux connectors and a founding partner supplier of Conexcon connectors, we are able to source a wide range of electronic connectors including power, FFC, IDC, PCB and telecom connectors. We deal directly with trusted connector manufacturers, obtaining the best possible cost pricing, and therefore ensuring our materials are kept to an absolute minimum. For volume requirements, if we cannot meet target prices by manufacturing within the UK, we will source from one of our established trading partners in China. Producing custom-built electronic connectors for industries within the UK & worldwide.